Located in the downstream portion of the right bank of the Cembra Valley, Giovo is a municipality in the province of Trento, divided into eight districts, that are all situated on a sundrenched plain of glacial origins. The town's name seems to derive from "Iuvum" or "Zuvum" (mountain pass). The village was mentioned for the first time in 1004, when, Emperor Henry II, traveling to Pavia, invaded the area to circumvent Arduino of Ivrea and was helped by the troops of the Bishop of Trento, who was rewarded with some possessions, including "the area of Giovo." 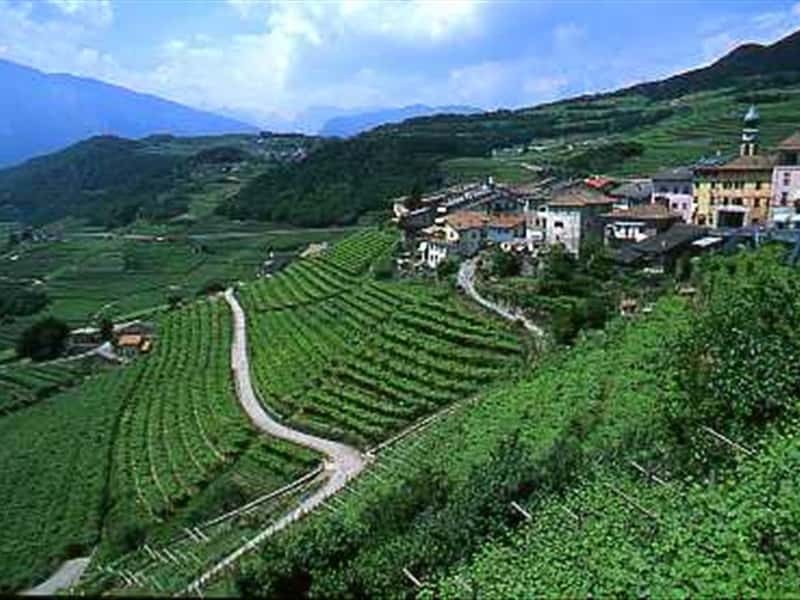 Granted to the Prince-Bishop of Trento until the assignment was suppressed by Napoleon, Giovo is now a popular tourist destination, nestled in a bucolic natural landscape, made up of terraces planted with vines, that produces fine wines. Also interesting are the excursions that can be taken on foot or on horseback along the mountain paths. - the Church of San Giorgio, already known as a hermitage since 1369. This town web page has been visited 26,095 times.